Inner Journeys. Diary Blogs. How to Love Yourself? Inner Journeys. 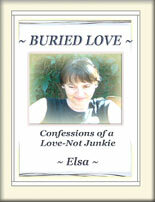 Diary blogs, blog journals of an inner quest, starting with buried love. 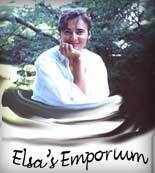 How to love yourself, how to feel love, reach emotional healing? of an inner quest, starting with buried love. #5 ... Unlovingness can't erupt. It's love that can erupt. A long time ago someone wrote about taking the road less traveled - and that made all the difference. Last fall, I took off on a journey, a physical journey, down roads never traveled, to places never traveled. I knew, within minutes of turning down the first road I'd never driven down, that this was the right thing for me to be doing. Day after day, always new places, never seen before. It felt so right. At the same time I was already on a bumpier journey, an inner one. It's always felt right to be on it. It's felt, in fact, decades overdue. But I hadn't known my way into this journey until I got thrown into it. I had in fact looked to make this journey many times. Had tried to find the door into it - and had gone partway on the roads I found. But I had always come to dead ends. Walls. No further access -as if that was all there was. But it had never felt quite right. Each bit of a trip had led to all kinds of things, especially creative things and love of animals and thinking things. But I knew something was missing, something else was possible, should be possible. Stuff to do with love, with loving - and even with warmth toward others, with liking, with liking in an ongoing way. I felt, perhaps, like those hundreds of suitors who tried to get to Sleeping Beauty in the hundred years she slept. In the childhood fairy tale I read - a horror story from their side - they had gotten stuck in the wall of thorns outside the castle where she slept. There they had died. My story. I didn't die - but I knew something was missing - and yet I virtually never talked of this. Maybe with my sister I talked of difficulty in bonding. But while I deeply explored lots of other things - to do with anger and shame, for example - this is something I rather left alone - though inside me I kept longing for an inner opening.